Simple Chicken Fried Pork Chops is yummy to eat and easy to cook. You can prepare it in your own kitchen. Simply follow the below given recipe details. 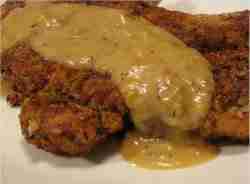 Click the below link to know better how to prepare at home the Simple Chicken Fried Pork Chops.